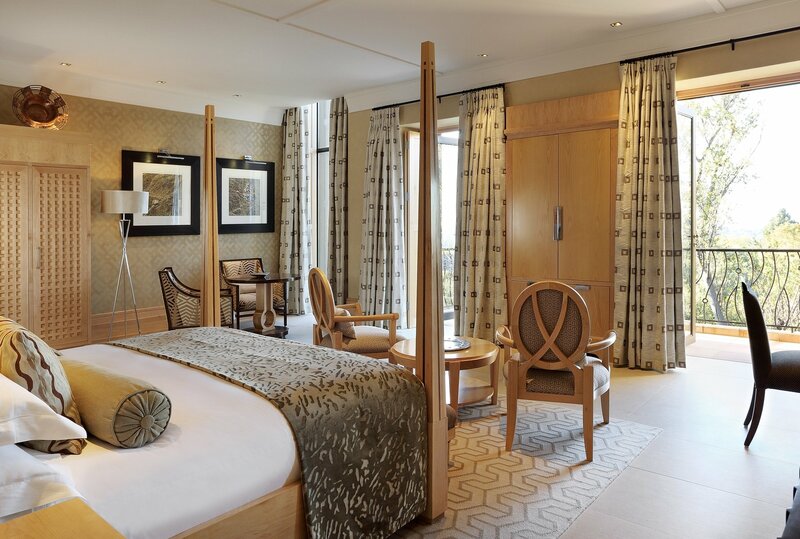 If Saxon Hotel Villas & Spa was a matriculant, they would need to purchase at least three blazers to wear all their awards – including the accolade of the World's Leading Boutique Hotel since 2001, the Diners Club International Wine List Awards 2018 Icon Award, American Express Dining Awards 2018/2019, World’s Best Wine Lists Awards: Best Spirits List in Middle East & Africa and ‘South Africa’s Leading Boutique Hotel’ 2018. The list is truly endless. From the moment you arrive you'll know there is nothing ordinary about the experience. First is the greeting at the front entrance, a gigantic wooden gate that slides open to reveal nothing of what lies beyond. You will be ushered to a parking bay where a luxury car awaits to drive you to the main hotel entrance along the tree-shaded path. Once there expect to be greeted by name on arrival. It's as if nothing is too much for The Saxon team, from the friendly greetings to the attention paid to every small detail of your stay. 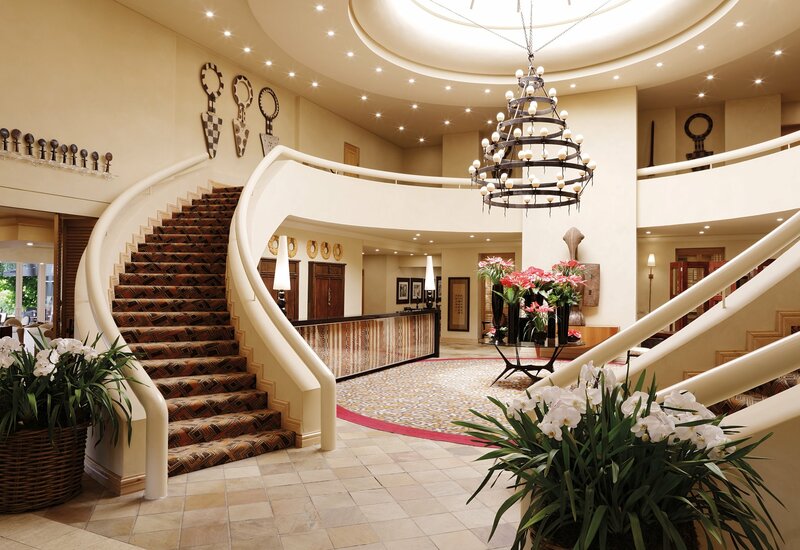 The Saxon Hotel was once the home of insurance magnate Douw Steyn who envisioned a six-star hotel, and also the place where Nelson Mandela, a Steyn family friend, took time out to edit his autobiography A Long Walk to Freedom. That alone makes it stand out, and yet there is no resting on pedigree, rather an ongoing endeavour to ensure that guests of The Saxon leave with a lasting impression of sheer comfort, luxury, and polished and friendly service. What impresses even more is that all this is carried out without a hint of pretension. So despite being surrounded by five-star luxury, you'll see many casually dressed guests comfortably hanging out at the hotel's two swimming pools set amid lush gardens and ponds of extremely healthy-looking Koi. And there are usually plenty of regulars who enjoy lunch or drinks on the terrace. There's always a gentle buzz of chatter on the patio rather than the hushed tones of a place taking itself too seriously. 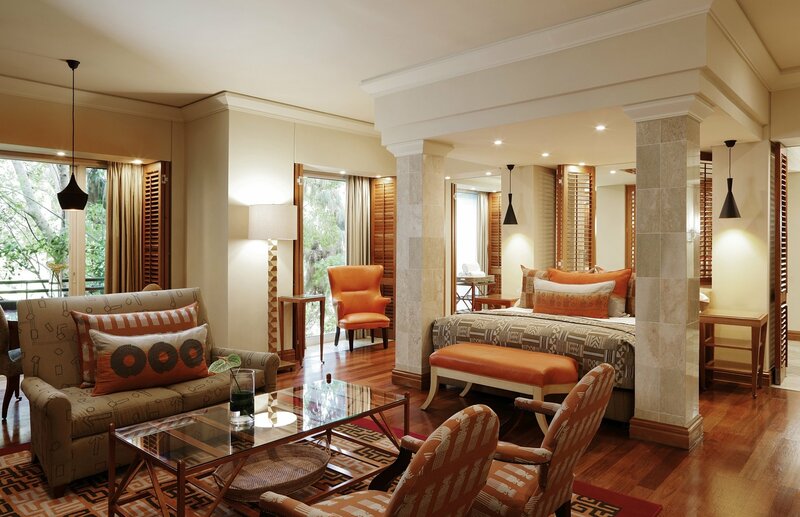 The Saxon Hotel has always been Oprah's home away from home while in Joburg – at one stage she even had her own office at the hotel when she was launching her school in South Africa. In 2018 the star lineup of the Global Citizen festival, who included Beyonce, Jay Z and Chris Martin stayed at the hotel villas, a complex of sumptuous presidential suites that come fitted with their own kitchen and chef, dining room and spa treatment rooms. The villas are accessed via a bridge that links to the hotel and is built among the trees, and Beyonce's many instagram accounts showed her crossing that bridge with her usual megastar style. Ok we are big fans of her too. The rooms are sheer indulgence, incredibly spacious with private terraces, king-sized beds, a his and hers bathroom counter that might finally justify having a telephone mounted on the wall as you call out across the distance to your plus one, and there's a lavishly-sized bath and rain shower. The mini-bar is stocked at no extra cost – a classy move all hotels should entertain – while there's an array of snacks waiting in case you get peckish between meals. It would be tough. The breakfast buffet served at Qunu is a marvel with if not the widest array of choices at a Joburg hotel, definitely one of them – from Bircher muesli to oysters and sushi, superb Eggs Benedict and delicious baked goods. The fresh fruit and vegetable juices are also a treat. Much of the produce and herbs used on the menus are sourced directly from Sarapana, the hotel's kitchen garden. 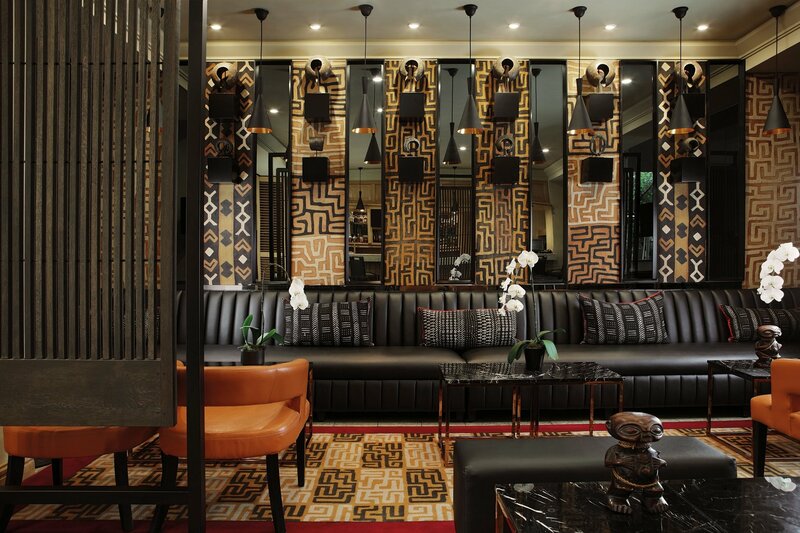 Another standout feature of the hotel is it's Clef' D'Or concierge, Masood Sadulla, who is a maven on Joburg experiences and is definitely the man to know if the impulse to leave the comfort of the hotel seizes you. We were invited for a night's stay – and it's important to contextuaise this review. We have spent many nights at local and international hotels. It's the job we do so we have a firm basis for comparison, and it can be disappointing that so many hotels that prize their stars for a grading give the impression that the guest should be impressed and do not focus much on impressing the guest. Our visit to the Saxon was a star experience in just about every way. The one complaint – we had to leave the next day. 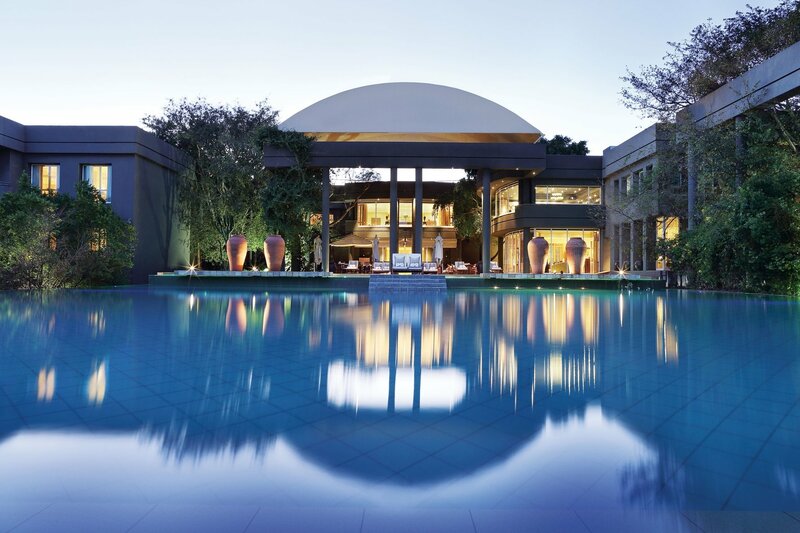 *Johannesburg In Your Pocket stayed at Saxon Hotel, Villas & Spa by invitation. 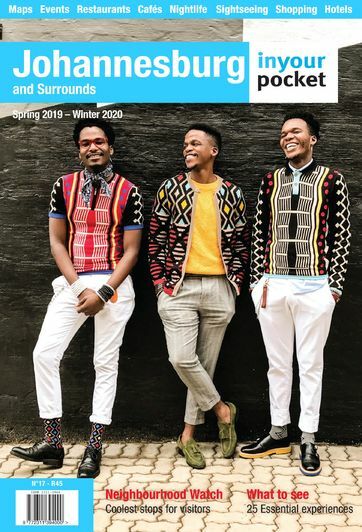 36 Saxon Road, Sandhurst 2196, Johannesburg, South Africa, tel: +27 11 292 6000 or +27 87 375 7777, info@saxon.co.za, saxon.co.za. For rates and bookings click here.